Self-Care: The act of identifying your own needs and taking the steps to meet those needs. It may not always look like a massage or a monthly pedicure. Sometimes it looks like doing whatever is necessary to meet the most current need. When you're also attempting to meet the needs of a tiny newborn, it can become difficult to identify your own needs and come up with practical ways to meet them. We've done a little 'breaking it down' for you. 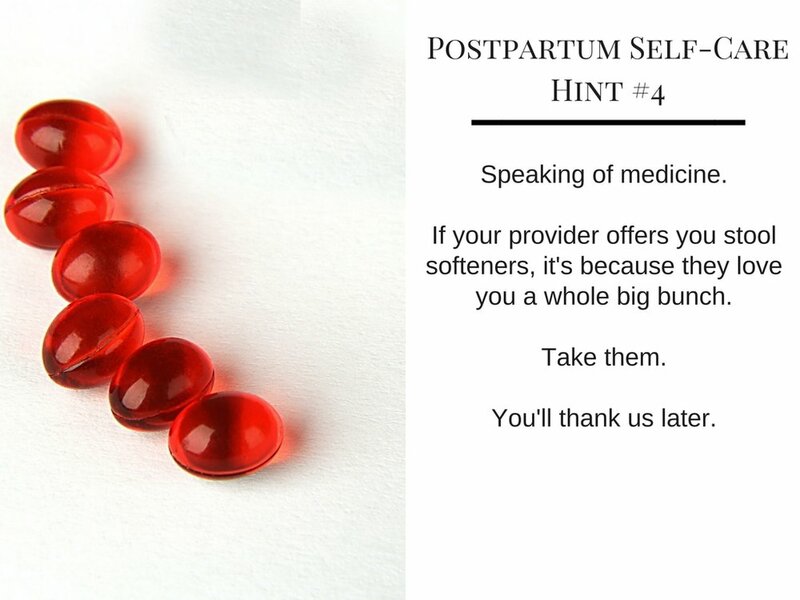 If you were to treat postpartum-you as kindly and as gently as you'd treat someone else, what would it look like? Care for yourself. The same way you'd put on oxygen mask on first while flying - care for yourself. It allows you to have more to pour out on your family and friends.